So you’re in your teens and have a mounting pile of questions about facial hair growth? That’s cool, most men had and most boys do. 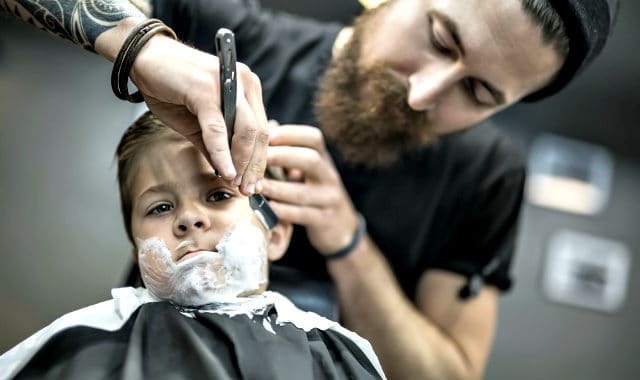 In this article, our purpose is to answer all the important questions about teenager beard growth and how to address it. You will learn a little bit about your genetics. When to expect beard growth to properly begin. 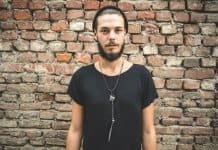 Whether you are a teen who has a beard, does not have a beard, can’t grow a beard, or would like to grow a beard; this article is for you. Why Do Some Teens Grow Beard at Young Age? I vividly remember being in school when I was 16 years old, and a new guy was assigned to my class. He was younger than me (I’m born in January), yet he still had full, thick goatee, and dense stubble all around his cheek, something that could have easily been grown into a full beard. Personally, I had around 10 light whiskers on my face. I was puzzled at why this guy was able to rock so much facial hair at that young age, while I and most of my classmates had not ever even had the need to shave yet. Later in my life when I started researching about hormones and I finally realized that the reason some guys can grow majestic beards even before they can enter a pub, has to do with a mixture of hormones and genetics. You see, facial hair growth is regulated by two hormones; testosterone (T) and dihydrotestosterone (DHT). These are both androgens, and facial hair is androgenic-hair. 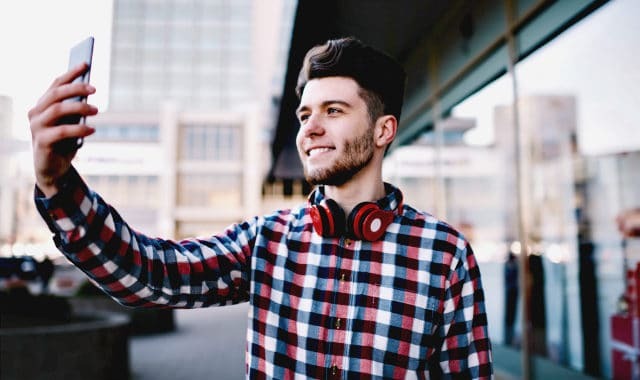 And while the production of testosterone ramps up in the early stages of puberty, your DHT usually kicks in much later, and DHT is much more potent at stimulating beard growth than testosterone. Yet, there are those who are genetically gifted to produce high amounts of DHT even in their teens, and these are usually the guys who can pull of a full-beard and look like grown men way before they even turn 18. There’s also this thing called the human androgen receptor (AR), which are receptor sites located all around your body, mostly in your skin. In order for testosterone and DHT to begin growing beard, they need to bind with the androgen receptors first. And as you might guess, the sensitivity and density of these receptors are regulated by your genetics. In most men, probably 80% or more, DHT and androgen receptors don’t really kick in until after you’re 20. For some, it’s closer to 25 even 30 years of age. And these are the two key things that determine natural beard growth rate. (Sure testosterone is important too, but it’s not enough alone, it’s more anabolic, not so much androgenic). Gee, I’m 17 and still can’t grow a beard! Does this mean I will never be able to? The answer is this: You are most likely too young to grow a beard at that stage. It’s impossible to say will you be able to grow hair on your face at 20 or say; 23, and realistically the only predictor of this is to look around the men in your family. 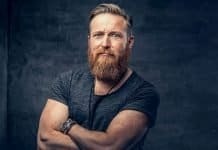 If most of the guys in your family have beards or could grow beards, then chances are that you will also be able to pull it off as you age more and your DHT and androgen receptors start to kick in. Are there any Ways to Grow More Beard as a Teen? (Shaving more often is not one of those). But I would still like to say that it’s better to just wait patiently until you’re in your early 20’s before you will start making any crazy moves. If you start stimulating beard growth and forcing it as a teenager and grow beard thanks to that, then how will you ever know if you would have been able to pull it off naturally? Another factor is that some of these methods include things like minoxidil (Rogaine) which is an over-the-counter prescription free drug, that is not completely free of side effects. There are some supplements that can activate the androgen receptors like carnitine and forskolin. And there’s also many lifestyle changes and nutritional tricks that can bring about higher DHT and testosterone. But you have to understand that most of these things cost money, and a teenager is not exactly in a situation to start spending lots of cash into supplements or Rogaine on a monthly basis. Another factor I want to include; is that it’s not really that “cool” to have a full beard as a teen. In fact, most girls of your age and adults as well will see it more as creepy than awesome. Imagine picking up a girl to prom with a full-beard, the moment your dates father sees you with a full face of fur, is the moment he will start hating you because he thinks you’re a 25+ guy going out with his teenage daughter. Why do some teens grow a beard while others can’t? It has to do with testosterone, DHT, and androgen receptors. If you are genetically prone to having high T & DHT and sensitive receptors, then you will be able to grow a beard at a very young age. Most guys will, however, not be able to. Is it possible to grow more beard at 15, 16, 17, 18, years old? Yes, it’s indeed very possible, but realistically you shouldn’t force it. Patience is a virtue, and your beard will grow in if nature so intended. If you’re 20+ and still there’s nothing happening on your face, then yes, look into stimulating the growth by other means. You keep saying it’s possible to increase beard and mustache growth rate in teens, how? Well, the exact same way as in older guys. With minoxidil, which is proven by hundreds of anecdotes and a study. With a Derma Roller which can stimulate circulation and collagen. With supplements like carnitine, Mucuna, and forskolin which activate AR. And with natural lifestyle optimization and nutrition to support T and DHT. 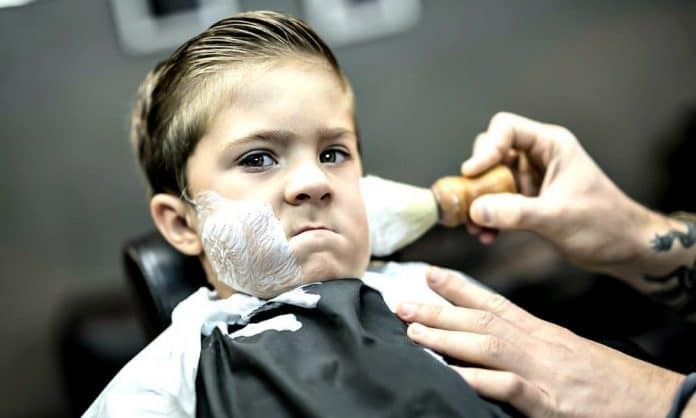 NOTE: Many companies will try to take an advantage of the fact that you’re young and impatiently trying to grow more facial hair. And they will promise you the moon and the sky with their growth oils, “Beardilizers”, “Beard Powders”, and other shady trickery. Those are nothing more than scams from companies that prey on the impatient teens. Don’t fall for that.